When you visit the town market to assemble a picnic, you're just another hungry shopper. 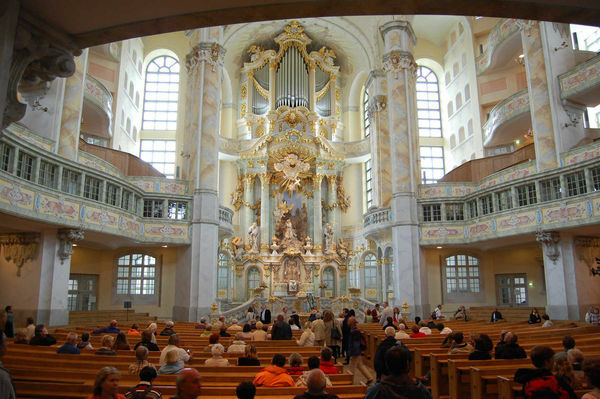 Visiting the Frauenkirche in Dresden is great; but it's even better to attend a service. Many travelers tramp through Europe like they're visiting the cultural zoo. "Ooh, that guy in lederhosen yodeled! Excuse me, could you do that again in the sunshine so I can get a good picture?" It's important to stow your camera, roll up your sleeves, and enjoy the real thing. Hit the back streets. Many people energetically jockey themselves into the most crowded square of the most crowded city in the most crowded month (St. Mark's Square, Venice, July) — and then complain about the crowds. If you're in Venice in July, walk six blocks behind St. Mark's Basilica, step into a café, and be greeted by Venetians who act as though they've never seen a tourist. Play where the locals play. A city's popular fairgrounds and parks are filled with families, lovers, and old-timers enjoying a cheap afternoon or evening out. European communities provide their heavily taxed citizens with wonderful athletic facilities. In Britain, check out a public swimming pool, called a "leisure center." While tourists outnumber locals five to one at the world-famous Tivoli Gardens, Copenhagen's other amusement park, Bakken, is enjoyed purely by Danes. Disneyland Paris is great, but Paris' Parc Astérix is more French. Take a stroll. Across southern Europe, communities relax with a paseo, or stroll, in the early evening. Stroll along. Join a Volksmarch in Bavaria to spend a day on the trails with people singing "I love to go a-wandering" in its original language. Mountain huts across Europe are filled mostly with local hikers. Most hiking centers have alpine clubs that welcome foreigners and offer organized hikes. Go to church. Many regular churchgoers never even consider a European worship service. But any church would welcome a traveling American. And an hour in a small-town church provides an unbeatable peek into the community, especially if you join them for coffee and cookies afterwards. I'll never forget going to a small church on the south coast of Portugal one Easter. A tourist stood at the door videotaping the "colorful natives" (including me) shaking hands with the priest after the service. Be an early bird. Throughout Europe — on medieval ramparts, in churches, produce markets, alpine farmsteads, and Riviera villages — the local culture thrives while the tourists sleep. In Germany, walk around Rothenburg's fortified wall at breakfast time, before the tour buses pull in and turn the town into a medieval theme park. Crack-of-dawn joggers and walkers enjoy a special look at wonderfully medieval cities as they yawn and stretch and prepare for the daily onslaught of the 21st century. By waking up with the locals on the Italian Riviera in the off-season, you can catch the morning sun as it greets a sleepy village, breathe in the damp, cool air…and experience a rare Italian silence. Among travelers, the early bird gets the memories. Root for your team. For many Europeans, the top religion is soccer. Getting caught up in a sporting event is going local. Whether enjoying soccer in small-town Italy or hurling in Ireland, you'll be surrounded by a stadium crammed with devout fans. Buy something to wear or wave with the hometown colors to help you remember whose side you're on. In Dublin, I joined 60,000 locals to watch a hurling match at Croke Park. Taking my seat, I was among new Irish friends. They gave me a flag to wave and taught me who to root for, the rules of the game…and lots of creative ways to swear. Challenge a local to the national pastime. In Greece or Turkey, drop into a teahouse or taverna and challenge anyone to a game of backgammon. You're instantly a part (even a star) of the café or bar scene. Normally the gang will gather around, and what starts out as a simple game becomes a fun duel of international significance. Contact an equivalent version of your club. If you're a member of a service club, bridge club, professional association, or international organization, make a point to connect with your foreign mates. Join in. 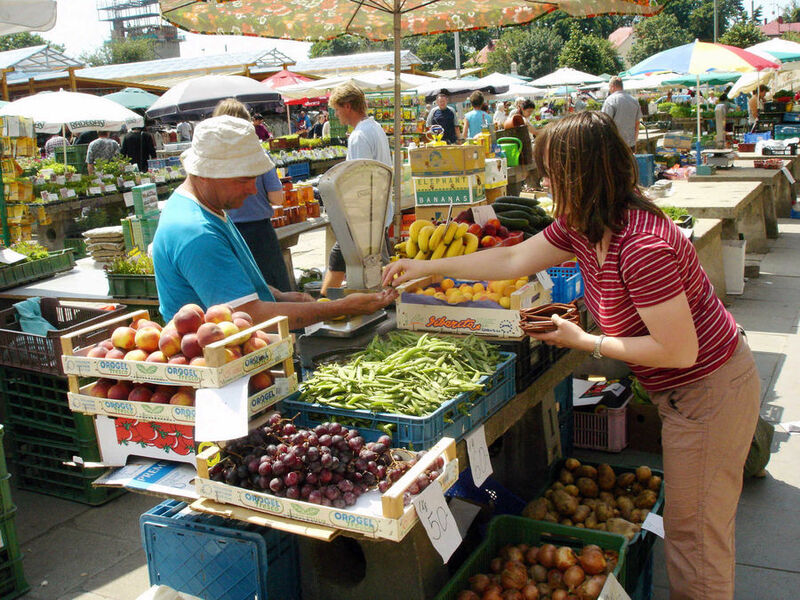 When you visit the town market in the morning, you're just another hungry shopper, picking up your daily produce. Traveling through the wine country of France during harvest time, you can be a tourist taking photos — or you can pitch in and become a grape-picker. Get more than a photo op. Get dirty. That night at the festival, it's just grape-pickers dancing — and their circle could include you. If you're hunting cultural peacocks, remember they fan out their tails best for people…not cameras. When you take Europe out of your viewfinder, you're more likely to find it in your lap.